High Fructose Corn Syrup Will Kill You! A common additive used in a wide range of commercially available processed foods such as soft drinks, salad dressings, cookies and cakes, breads and breakfast cereals has been poisoning people for several decades now. In fact, research studies have shown that it causes metabolic syndrome which in turn contributes a great deal to an increase in body weight and incidence of degenerative diseases such as diabetes, heart disease, Alzheimer’s and fatty liver. This additive is high-fructose corn syrup (HFCS). Sucrose, or regular table sugar, consists of 50 percent fructose and 50 percent glucose, whereas HFCS can contain up to 90 percent fructose, almost twice the fructose of common table sugar. In terms of calories, both HFCS and table sugar provide 4 calories per gram, but the issue is the metabolism of excessive amounts of fructose. In the ninth century, the Japanese invented a sweetener derived from starches. This syrup is being used even today as “traditional sweetener.” In the 17th century, Andreas Sigismund Marggraf, a German chemist, discovered another starch-based sweetener called glucose. During the times of Napoleonic wars, blockades on sugarcane imports from the West Indies encouraged laboratories to work on development of alternative sweeteners. Dextose or D-glucose was developed in 1801, and in 1811 a Russian scientist created glucose by overcooking potato starch in sulfuric acid. No further progress was made till the 1950s when the Japanese invented the HFCS. In America, cane sugar continued to be used as the sweetener of choice until the 1970s prior to the introduction of the less expensive sweeteners such as maltodextrin and HFCS that were derived from corn. 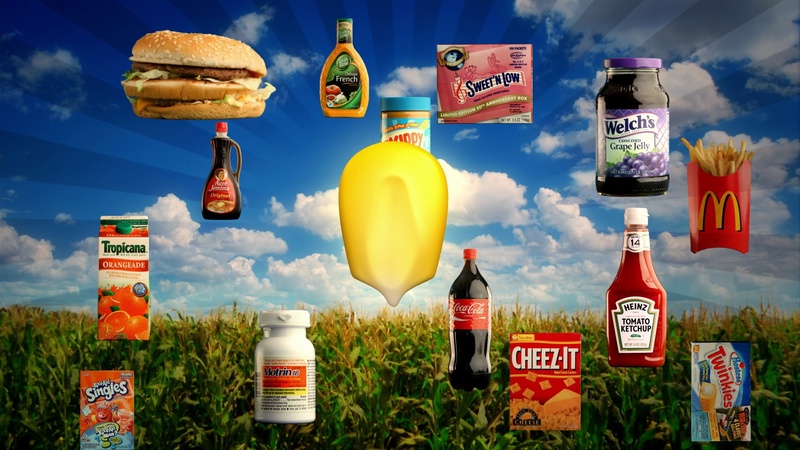 HFCS was introduced to the food industry after the developmental process was perfected. Why is HFCS so popular with the food industry? First and foremost, its sweetness is comparable to that of table sugar. Secondly, it maintains the quality of condiments and drinks for a longer period. Third, it provides a soft, moist texture to baked food such as snack bars and cookies by retaining moisture and resisting crystallization after baking. It is HFCS that gives baked foods flavor and superior browning quality. The sugars present in HFCS get fermented quickly and easily, making it possible to produce sweeter bread. Fourth, it is much cheaper compared to table sugar. Lastly, it is easily added to just about anything. It is generally produced in a liquid form making its incorporation into food and drink products a very simple task for automated equipment that is so common in food production today. The statistics released by the Department of Agriculture in the U.S. show that the average consumption of HFCS has increased from 0.5 pounds per person per year to 60 pounds per person per year over the past four decades. During the same period, there has been a threefold increase in obesity rates and a seven fold increase in the incidence of diabetes. HFCS may not be singularly responsible for this, but its effect cannot be ignored. A number of short-term clinical studies have shown that ingesting sweetened beverages is not good for health. Results of one study showed that people gained weight and experienced an increase in blood pressure and inflammatory markers. In another study, scientists observed an increase in visceral fat and triglyceride levels and stimulation of lipogenesis (producing more fat). In yet another trial wherein the effects of water, milk, diet cola and sugar-sweetened cola were compared, the results showed that sugar-sweetened beverage contributed to an increase in liver and visceral fat and elevated triglyceride levels when consumed for 6 months at the rate of just 16 ounce per day (i.e about one soda). Fructose also increases gut permeability allowing potent bacterial toxins out of the gut and into surrounding immune tissue. This generates an inflammatory response. If this response continues for long periods of time, systemic levels of inflammation begin to rise increasing the risk of obesity, cancer, heart disease, diabetes, Alzheimer’s disease, osteoporosis, arthritis and more. And most studies have shown it only takes the fructose present in one soda to produce these adverse effects. You may use sugar in any form, but it definitely causes obesity as well as other diseases when consumed in pharmacologic doses. HFCS is often a marker of nutrient-deficient, poor quality and disease-causing industrial food products. It should be severely limited in your diet. The corn processing industry thrives on doubt and confusion. The Corn Refiners Association skillfully uses the print and television media for massive advertising campaigns in order to dispel the fear among people. The industry also asserts through medical doctors’ as well as nutrition experts’ opinion that HFCS is same as cane sugar and it is a “natural” product if used in moderation. They do this for nothing but commercial benefit though they themselves are aware that this is not true. No independent medical or nutrition experts recommend the consumption of HFCS. My experience lecturing at the 2012 Food and Nutrition Convention and Expo was enlightening. The Corn Refiners Association sponsored lecture after lecture on HFCS and how it was not the villain it was made out to be. In fact, they asserted it could be consumed as part of a healthy diet. They also skillfully shifted the focus from HFCS to the epidemic of inactivity in the US, blaming it instead of processed food for the skyrocketing chronic disease rates in this country. Do yourself a favor and avoid HFCS. While the corn and sugar industry continues to deceive, they are killing thousands of Americans to make a dollar. It rings eerily similar to Big Tobacco of the 50s and 60s. You don’t want to find out too late that money and corporate interest mislead you into believing it was safe when the research is clear now.